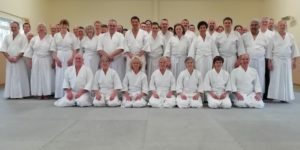 Welcome to Newton Abbot Ki Aikido Club. 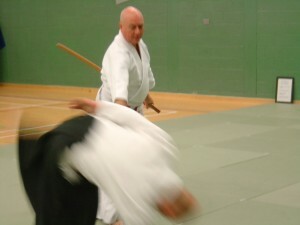 Sensei Philip Valentine started Ki Aikido in 1991 in Totnes practising under Sensei John Stoner. Having been an assistant teacher there for 5 years he opened his own club in Newton Abbot in 2000. He continues to practise regularly and attends high grade classes and teachers courses at the Ki Federation HQ, taught by Sensei Williams. He was awarded his 6th Dan in 2014. A warm and friendly welcome awaits you at our club where we have students, both male and female, of all ages. Lessons are conducted in a respectful and disciplined manner yet we soon discover the study of Ki is enjoyable, stimulating (for both mind and body) and captivating. So please feel free to come along, ask questions either before the lesson starts and/or have a chat with us all in the tea break. If you would like to find out more you are welcome to call Sensei Ian Walters or get in touch with him by email. Sensei Ian Walters: Sensei Walters began studying Ki Aikido in 1981, within the Ki Federation of Great Britain, under Sensei Williams. He was Sensei William’s assistant for about 10 years. Now graded 8th Dan, he has taught courses around the UK and has also conducted courses for the Ki Federation’s international friends. He has been privileged to teach courses in Australia, Canada, Russia, France, Holland and Romania. 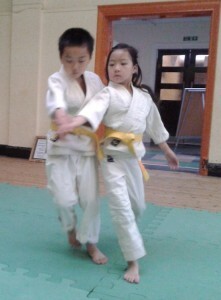 Juniors (ages 5 to 13): Thursdays, 6.30pm to 7.15pm. Adults: Mondays and Thursdays, 8pm to 10pm. 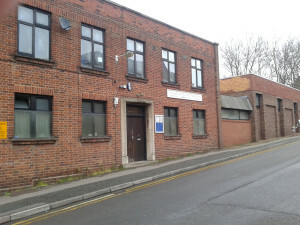 There is free parking (after 7pm) in Church Lane, outside the hall.